Please have a look to the Outdoor Pools in North Carolina swimmers like you have reported. Is your pool not listed? Contact us to ADD IT. It is totally free! Please, use the get in touch with information and facts provided at every pool profile. There are commonly discounts available to senior citizen and small children. Find out by contacting your nearest pool in North Carolina. Most of the Swimming Pools offer both open lanes for independent swimming and also guided activities like water aerobics or aquabike. The most beneficial pools to swim are certainly indoor olympic pools. We at present have the following Outdoor Pools in North Carolina, but we are always grateful for any corrections or contributions. Get in touch via our contact type. Without a shadow of a doubt, swimming in Raleigh is the best technique to unwind after work. 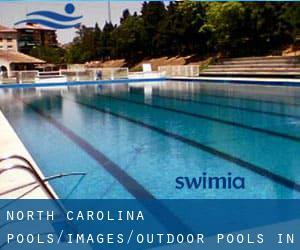 Take a couple of minutes to browse Swimia's catalog to find a Swimming Pool in Raleigh. Swimming can be a outstanding idea to help keep your body active for the duration of your visit to Fayetteville (North Carolina), or perhaps when you are a local. Swimia helps you to find your closest Swimming Pool in Fayetteville. It's difficult to visit North Carolina with out dropping by Durham (with 228.330 residents). 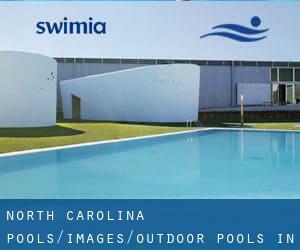 Currently Swimia is showing you all the Pool in Durham and the closest pools situated in its vicinity. Holding an estimated population of 731.424, Charlotte is one of the most important cities in North Carolina. Check all the Swimming Pool in Charlotte and its surrounding region. Whereas Greensboro is one of the six most populous cities in North Carolina with nearly 269.666 residents, you shouldn't miss that one if you're going to North Carolina. Let us tell you a secret to switch off whilst you're in Winston-Salem: just opt for a Swimming Pool in Winston-Salem and plunge into the water! There's no extra helpful technique. 140 Oakmont Dr. , Greenville , NC , USA (Postal Code: 27858). This sports center delivers 25 yards, 4 lanes, Indoor/Outdoor. For this Swimming Pool, only phone number is number here. 100 YMCA Lane , New Bern , NC , USA (Postal Code: 28560). Swimmers like you have reported 25 yards x 45 feet, 6 lanes, Indoors. Also, you will find 25 yards, 8 lanes, Indoor/Outdoor. Just in case you desire to make contact with this Swimming Pool before dropping by, we only know the phone number. 5100 Erwin Road , Durham , NC , USA (Postal Code: 27707). This sports center delivers 25 meters, 8 lanes, Indoor/Outdoor. Contact information for this Pool such as phone number and email address are number. 101 YMCA Dr. , Cary , NC , USA (Postal Code: 27513). This sports center delivers 25 yards, 8 lanes, Indoor/Outdoor. For this Pool, only phone number is number here. 500 Sunset Rd. , Wilson , NC , USA (Postal Code: 27893). Among all of the activities offered by the center, if you are thinking about swimming you can enjoy 25 yards, 8 lanes, 3 feet - 5 feet depth, Indoor/Outdoor. Just in case you want to contact this Swimming Pool before dropping by, we only know the phone number. 2026 South 16th St. , Wilmington , NC , USA (Postal Code: 28401). This sports center offers 25 meters, 6 lanes, Outdoors. For this Swimming Pool, only phone number is number here. Updated on 2019 2815 S. College Road , Wilmington , NC , USA (Postal Code: 28412). This sports center offers 25 yards, Indoor/Outdoor. For this Swimming Pool, only phone number is number here. 5951 Cliffdale Rd. , Fayetteville , NC , USA (Postal Code: 28314). Among all the activities offered by the center, for anyone who is considering swimming you'll enjoy 21 meters, Indoor/Outdoor. Just in case you would like to contact this Swimming Pool just before dropping by, we only know the phone number. 1705 Whitehall Street , High Point , NC , USA (Postal Code: 27262). Swimmers like you reported 25 meters, 5 lanes, Indoor/Outdoor. Unfortunately we do not have the email address of this Swimming Pool, but we can give you the phone number. 508 Collins Road , Sparta , NC , USA (Postal Code: 28675). Among all the activities offered by the center, if you are thinking about swimming you will get pleasure from 25 yards, 6 lanes, Indoor/Outdoor. If you'll want to make contact with this Pool, e-mail address and phone number are both number. Updated on 2019 1301 Morrisville Parkway , Morrisville , NC , USA (Postal Code: 27560). Among all the activities offered by the center, if you are keen on swimming you will appreciate 25 meters, 4 lanes, 5 feet depth, Indoor/Outdoor. Just in case you want to contact this Swimming Pool before dropping by, we only know the phone number. 1402 Overbrook , Burlington , NC , USA (Postal Code: 27215). This sports center provides 25 yards, 6 lanes, Indoor/Outdoor. For this Pool, only phone number is number here. 233 Country Club Dr. , Concord , NC , USA (Postal Code: 28025). Among all of the activities offered by the center, should you be interested in swimming you will enjoy 25 meters, 6 lanes, Indoor/Outdoor. Just in case you need to contact this Swimming Pool before dropping by, we only know the phone number. 312 Massel Ave. , Valdese , NC , USA (Postal Code: 28690). Swimmers like you reported 25 yards, 8 lanes, Indoor/Outdoor. Unfortunately we do not have the e-mail address of this Swimming Pool, but we can provide you with the phone number.